This is an amazing trip we did through a place called Ngepi Camp late 2013, just over the Mohembo border in Namibia from Botswana. These countries are politically safe and the people are super friendly, costs for everything is around 25% or less of what things cost in Oz. 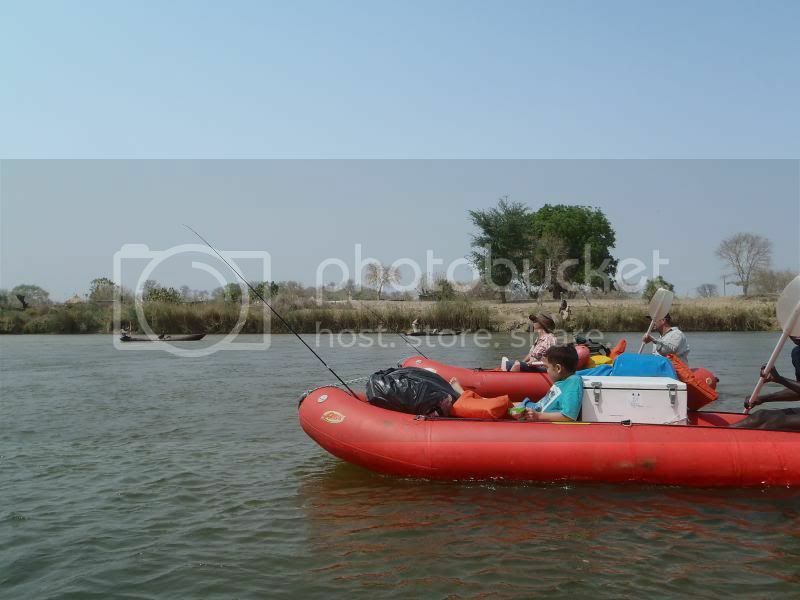 The Kavango river from Angola is pretty safe from crocs & hippos as they were shot out during the Angola war (that's what the guides said) so we could have a swim. This part of the world is lost in time, there is little to no evidence of modern man & to travel through the hundreds of islands paddling in inflatable kayaks was one of the best experiences Ive ever had. This is where I got to catch my 1st tiger fish, these things should not be under estimated, they make barra feel like sleepy cod in comparison. 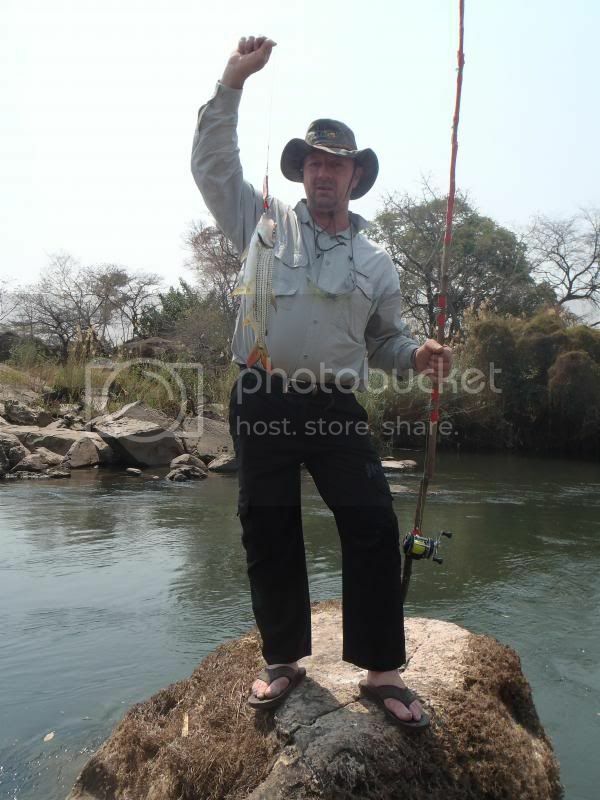 When they hit they scare the cr.p out of you as one cant believe a fish can hit that hard! My ole man had his ugly stick snapped in half by one so he had to fashion a green tree into an emergency fishing rod, electrical taped fencing wire eyelets onto it along with his bait caster and still managed to land 2 tigers! Wow, that fish looks crazy evil... No crocs, no hippos... Just those in the water. Bugger that! Those teeth look as though they could do some serious damage! Thanks for the pis and write up. 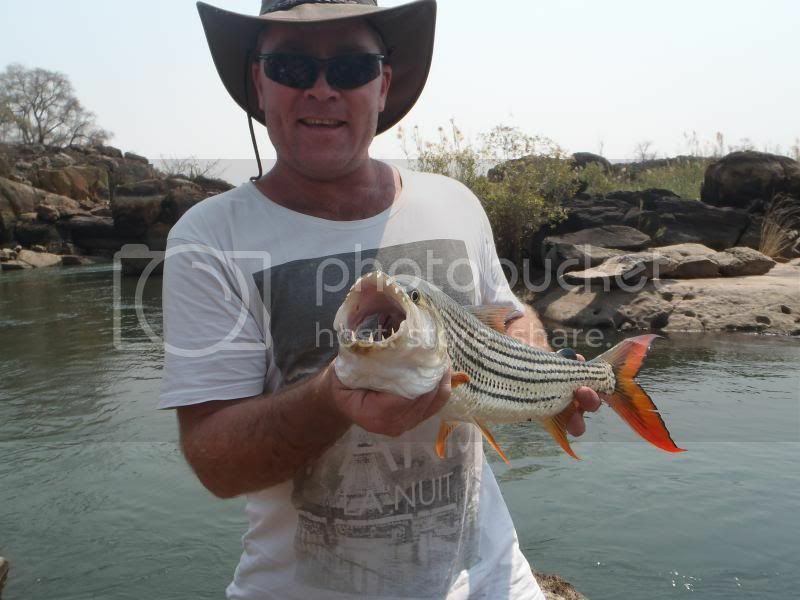 Tiger fish are awesome fun, caught them in Zimbabwe last year.